Our vision is to lead people into a growing relationship with Jesus Christ by creating environments where people are encouraged and equipped to pursue intimacy with God, community with other believers, and influence with non-believers. It is our enduring mission and the reason for everything for which we strive. From the day we opened our doors, we've invested in the strength of our community through the transforming power of Jesus christ and the edifying structure of His church. 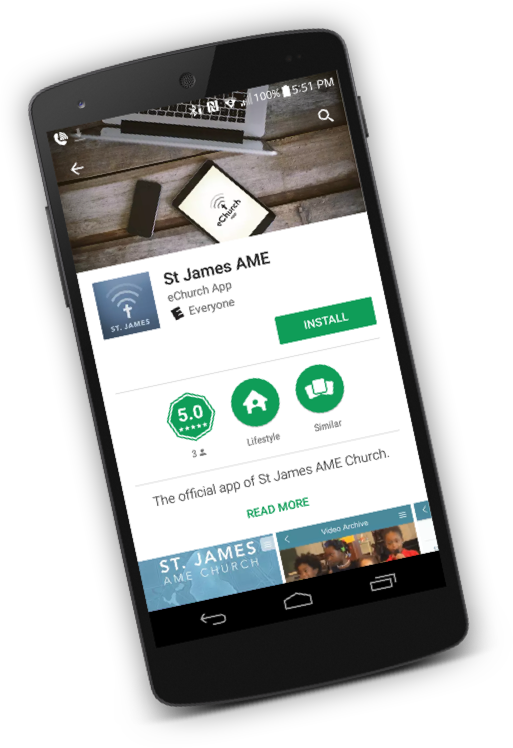 Click the links below to learn more about St. James' Community Offerings. Choose any event below to join. We're always excited to see new faces. Its a day for change, a day for transformation, a day for empowerment. Come join us this Tuesday July, 25th, 2017 for Power Up Tuesday. Pastor Terry Hill, Jr. of the Citadel Church of Jacksonville will be ministering to us the Word of Power. Grab a free ticket here right here on EventBrite to let us know you'll be there and... Let us know on Instagram...How do you Power Up in Jesus?Post your answer to instagram with the hashtags: #saintjamesame #poweruptuesday.We'll be featuring your answers and continuing the discussion on our Facebook Page at fb.me/lovemychurc. See you there. The St James AME Church will be holding an open vow renewal ceremony. We open this event to the community as an opportunity to celebrate the time-honored institution of marriage and deepen our commitment, love and appreciation for our spouses. For more information please call the church at (904) 278-7037, the event is free and open to the public. and stay up-to-date with our events, sermons, revivals, and free community resources available in Jacksonville and Orange Park.